Meddle is the sixth studio album by English progressive rock group Pink Floyd, released 30 October 1971 on Harvest Records. It was produced between the band's touring commitments, from January to August 1971. The album was recorded at a series of locations around London, including Abbey Road Studios and Morgan Studios. With no material to work with and no clear idea of the album's direction, the band devised a series of novel experiments which eventually inspired the album's signature track, "Echoes". Although many of the group's later albums would be unified by a central theme with lyrics written mainly by Roger Waters, Meddle was a group effort with lyrical contributions from each member. 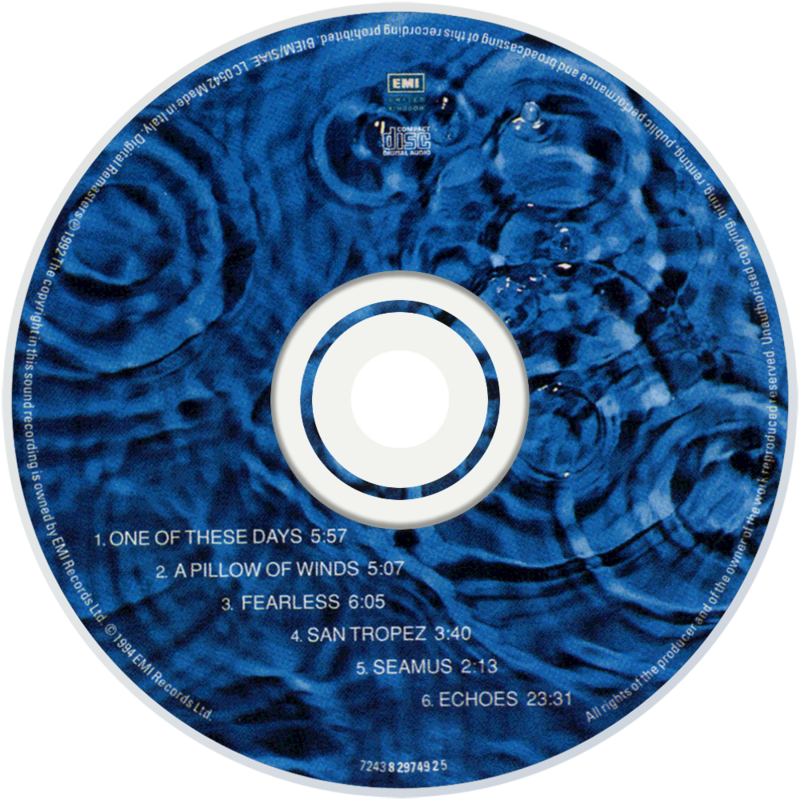 The cover, containing a close-up shot of an ear underwater, was, as with several previous albums, designed by Hipgnosis, though Storm Thorgerson was unhappy with the final result. The album was well received by music critics upon its release. However, despite being commercially successful in the United Kingdom, lacklustre publicity on the part of their United States-based label led to poor sales there. Meddle represents the birth of Pink Floyd as we now know them today. After flailing somewhat after Syd Barrett's departure in 1968, they had a surprise hit in 1970 with Atom Heart Mother, an album comprised of a difficult side-long suite, backed with individual group pieces. In many respects, Meddle, released a little over a year later, is the same again, only with much, much, better tunes and less clutter. Everything about Meddle is allowed to breathe and grow. 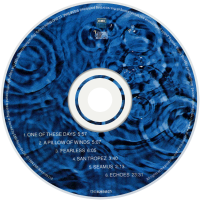 Rocking opener "One Of These Days" rises out of nearly a minute of wind effects; "Fearless" delivers its slightly stoned punch over six minutes. Even the throwaway track, "Seamus", with the howling of Steve Marriott's dog over David Gilmour's blues, has a lazy charm which undermines the intelligence and ambition of the remainder of the record. Originally titled "Return Of The Son Of Nothing", the side-long piece, "Echoes" dominates the entire work. It has a majestic grace, filling every one of its 23 minutes with the sophisticated mystery that came to define everything about Pink Floyd; slightly obscure; extremely special. Starting with a sonar pulse, the song – with one of Roger Waters' finest lyrics – leisurely unfolds before climaxing with a funk workout; after another four minutes it dissolves to atmospherics before finally returning to the main theme. This is everything right about progressive rock; engaging, intelligent and compelling. By the time the group began to hone this innovation and vision into bite-sized chunks on their next two albums, they were to become very big indeed.